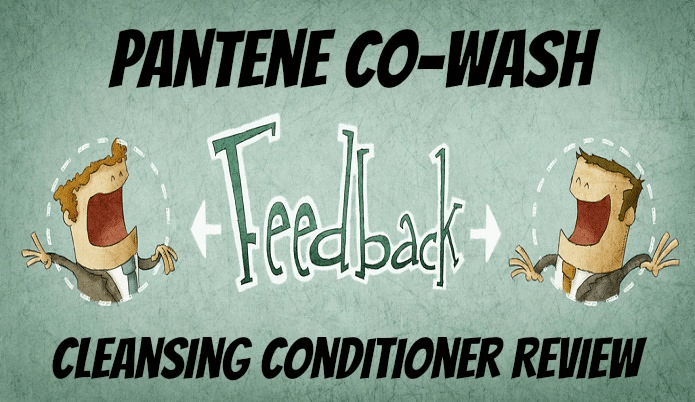 In this post I’ll be giving you my review of the co wash cleansing conditioner by Pantene Pro-V. If you’re unsure of what a co-wash cleansing conditioner is then you can head over here to get a little bit of background info on it. So Pantenes co-wash was the first cleansing conditioner that I had ever tried so I was a bit skeptical when using it. Enough of that though let’s get into the best of this product. Let me explain a little bit on the points I mentioned above. The size of the bottle and how much is required to give my hair a good wash make this product a great bang for your buck. When I first started this product it did leave my hair somewhat frizzy however I had just swapped over from 20 something years of using shampoo everyday. I continued to use this product to find that the longer I used it the better it got. I imagine this was because my hair was finally getting use to have its natural oils back that I kept taking away from it by using shampoo on it everyday. After about a month of using it I was very happy how it left my hair looking. This product doesn’t have all of those crappy chemicals that you find in a lot of shampoos which is the main reason I tried this product in the first place. Being a big brand that Pantene is means that it has its products everywhere so you can find this product just about anywhere, local stores included. This has a lot to do with how you cleaned your hair before you started this product in my opinion more than the product itself. Either way my hair looked better after continued use for about a month then it seemed to normalize to where it looked good everyday. My suggestion is stay patient with it and continue to use it for a few weeks so that you can see how you like it. Overall for the price this is an excellent product which is definitely one of the top co wash conditioners currently on the market out of all the ones I’ve tried.